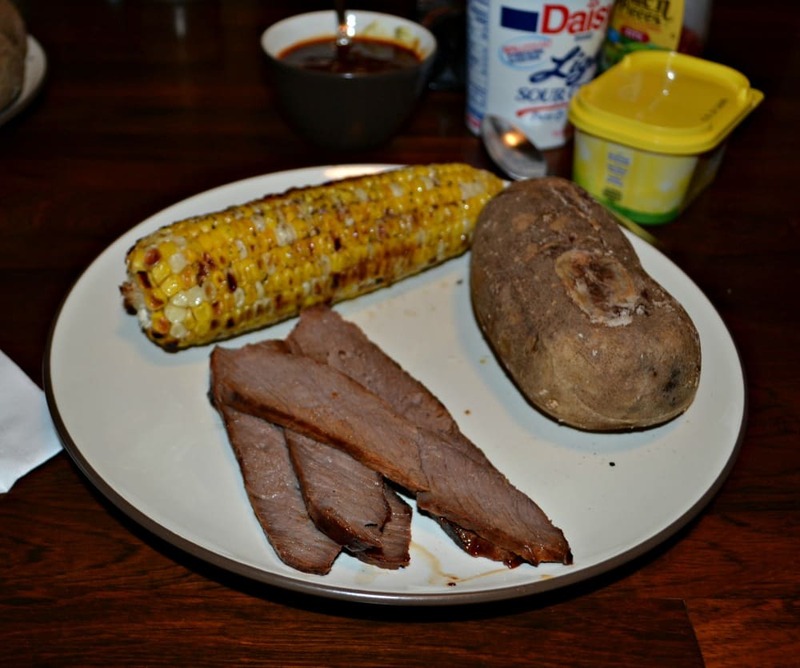 London Broil is one of my favorite meats to make in the summer. It’s not too expensive, it makes plenty of extras, and it’s delicious with the right marinade. 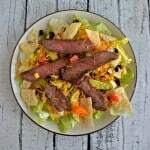 My husband is the grill king at our house and he likes to grill all summer so this is an easy meal for us to make. Since I’m in charge of planning meals this London Broil on the grill is one I love prepping. I simply mix up the marinade in the morning, pour it over the meat, and let it marinate for 12 hours. 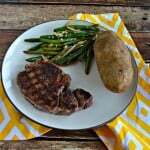 When we are ready to eat in the evening my husband heats up the grill and throws on the steak. 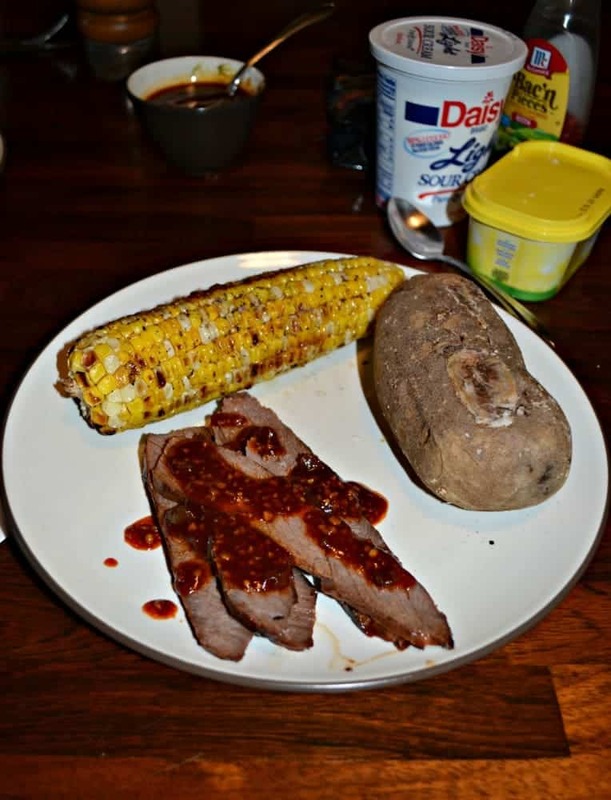 It’s ready in 15 minutes or less and we have a delicious steak to enjoy. It’s also great for sandwiches the next day. All of the spices make a nice crust on the meat and the inside is left juicy and tender. 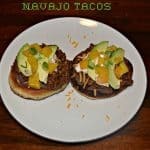 This is also a great meal to make for company because of how easy it is to prepare. Plus, who doesn’t like steak on the grill? 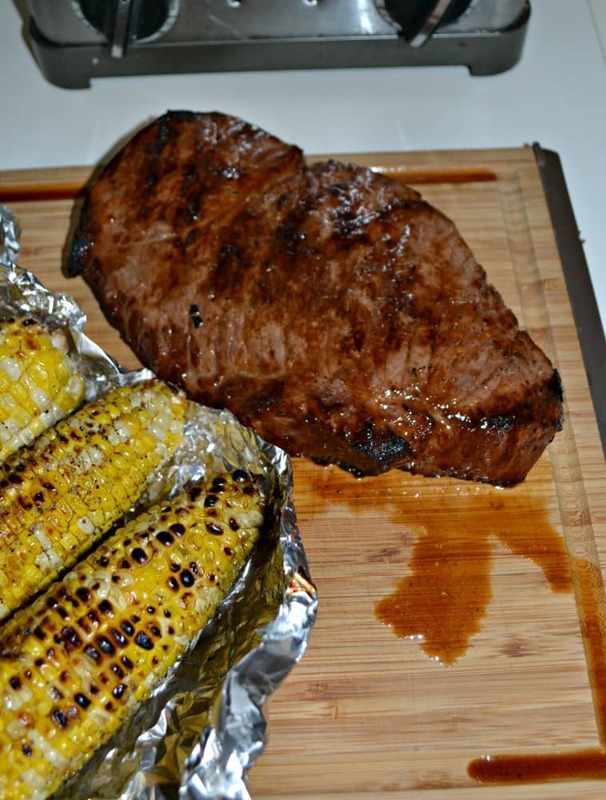 An easy and flavorful marinade goes on the London Broil before it is grilled to perfection. In a small bowl combine all the marinade ingredients. Mix well and set aside. Rub the salt and pepper all over the London Broil. 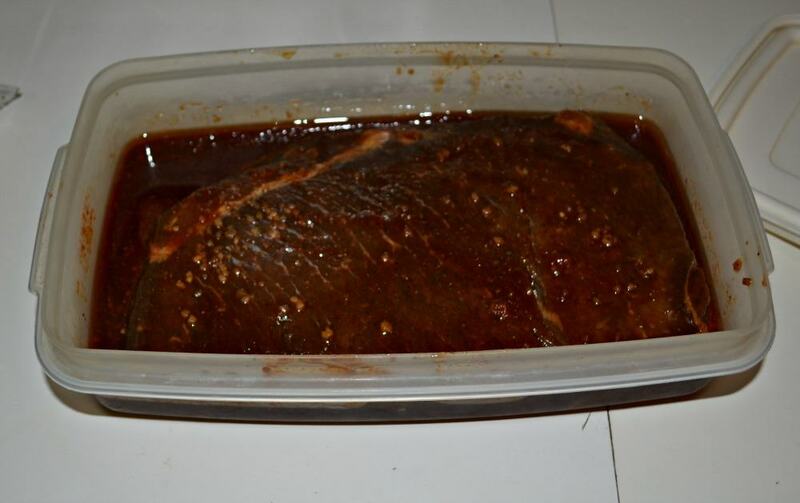 Poke holes in the London Broil and then pour the marinade over top of it. Flip the meat to coat. Place the meat in the marinade in the refrigerator for at least 2 hours up to 24 hours. When ready to cook heat a grill to medium high heat. Cook for 5 minutes on one side then flip the meat and cook for 10 minutes on the other side or until the steak registers a medium rare temperature. 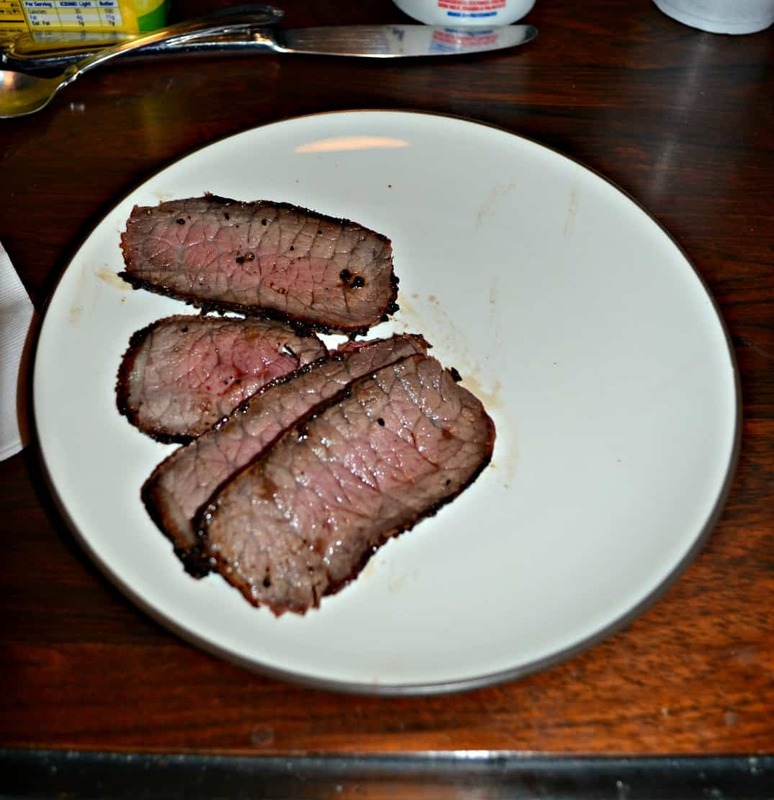 Remove the London Broil from the grill and let it rest for 5 minutes (this allows the temperature to get up to medium).